Get ready to make friends anywhere with this Girls Night Out. Kristian Regale Sparkling Juices use only the finest, natural ingredients. Inside the beautiful bottle you’ll find ingredients like Geranium Botanicals, Natural Fruit Juice, two thirds LESS sugar, no preservatives and no alcohol or Caffeine! It’s a celebration that is good all around. Make Girl’s Night Out a night to remember without the next day blues! Send a care package to let someone know you are thinking of them, Whether it’s cookies, brownies, bars or pastries, Sweet Sally’s is the place to shop. They’ll deliver love in every bite directly to the door! One of Yohay Baking Company‘s signature flavors, this is the one that keeps everyone coming back for more. This slab of creamy, sweet pistachio-flavored fudge is chock full of cranberries and pistachio nuts. This elegant treat will impress even the most discerning palates. Their Gourmet fudge is made fresh to order with real cream and butter, and cooked by hand in small batches to ensure the highest quality gourmet fudge every time. Bare Fruit is just that, fruit undressed. Our ingredients list is simple: Organic Apples (sometimes we add organic cinnamon). Nothing else is added. Nothing stands between you and our delicious chips. Our bake-dried solution creates a crispy chip that tastes just right. Perfect for “corner-piece” lovers! Make individual brownies, cornbread, mini appetizer pizzas and more. Aluminized steel ensures excellent heat distribution. You can keep a secure grip on the extended edges, then count on easy release and quick cleanup thanks to the nonstick coating. 12 individual ¼-cup wells, 2 ½” x 2½” x 1″ each. This item is sponsored by Rachael Olbeter, an independent Pampered Representative. Perfect for popcorn lovers! Two sweet and salty snacks tucked inside a beautiful taffeta bag. Open and enjoy. Makes an excellent gift under $20 for the office, college students or holiday parties. This Tastefully Simple product is sponsored by Jennifer Janusek, an independent Tastefully Simple representative. Girls Night Out Beauty Prize Pack and Keurig B40 Brewing System! AWESOME giveaway for me and my daughters to spend quality time together!! @chantal thomas: Keurig brewing system!! I most excited about the Yohay’s baking pistachio and cranberry fudge! The lemon bars. I’m a sucker for lemon bars! Magic Mike and Lemon Bars = Perfect night in! It would all be awesome! Especially the popcorn! I’m excited about the Bare Fruits Cinnamon Apple Chips because they are intriguing and I can’t wait to watch Magic Mike! Thanks! It’s a toss up between the case of Kristian Regale Sparkling Juices or the Cranberry/Pistachio fudge. YUMMY! oooh those lemon bars and those sparkling juices!!! I hope I win!!! Pampered Chef Brownie Pan and Sparkling Juices! mrsbrinius@comcast.net I want to try the brownie pan! The Magic Mike DVD….. I haven’t seen the movie yet. the case of sparkling juice!! The Pampered Chef baking pan looks awesome!!! The Cranberry Pistachio Fudge has me soooooo excited!! I hope I win one of these giveaways!! I’ve entered so many and still haven’t won. Good luck to all, fingers crossed. Anything because it all looks GREAT! I’m excited about the 6 pound Slab of Cranberry Pistachio Fudge. Any prize would be great but I’d really like the fudge, popcorn, lemon bars and/or brownie pan. I am most excited about the Cranberry Pistachio Fudge from Yohay Baking Company. Magic mike or the brownie pan. Magic Mike dvd for sure. I love lemon bars, so those. Those Lemon Bars look AMAZING! The cranberry pistachio fudge. YUM! Would love all those goodies what a great girls night it would be. The movie of course! And the brownie pan! I love all the prizes, especially the Sparkling Juices!!! The sparkling juices sound yummy!!! I’m torn which I’d be more excited about the popcorn party or the brownie pan… either way, super win-win! The Magic Mike DVD hzs me the most excited. It would be perfect for a girl’s Night -In. And in the comfort of my home I will not embarass myself when I hoot and holler! I am most excited about the sparkling juices, yum! I like the Pampered Chef Brownie Pan. Thanks for this contest. Hello, how are you? Thank you for this opportunity. I like the sparkling juices. Sweet Sally’s lemon bars – yum! That Cranberry, Pistachio Fudge definitely has my interest! brownie pan! Love the edges. it ALL looks absolutely wonderful!! The case of Kristian Regale Sparkling Juices!! Oddly enough, the lemon bars are what Im excited about!!!!!!! 6 pound Slab of Cranberry Pistachio Fudge from Yohay Baking Company. YUMMY! I am excited about the Cranberry Pistachio Fudge – Thanks! I’d like all of it bit the lemon bars sound awesome! Omgosh Magic Mike DVD hehe!!! This single mom of 4 THANKS You and God Bless!! All of it!! It all is good. would love to win the sparkling juices! The sparkling juices sound wonderful, it all does really! The Pampered Chef Brownie Pan! Case of Kristian Regale Sparkling Juices!!!!! They all sound wonderful but I’d really like to try the lemon bars. I would love the Pampered Chef Brownie Pan. Magic Mike all the way! All of them! I want to see Magic Mike, and the treats & juice loos awesome! Haven’t seen Magic Mike, but have been told that I should! brownie pan and popcorn oh my! Ummm the Magic Mike dvd for sure! The brownie pan, would be a lot easier to measure out servings for my daughter who has Type 1 Diabetes! The Magic Mike DVD and the apple chips! Most excited about food, movie and having my friends over. thank you for the chance to enter your giveaway!!! Magic Mike and the brownie pan!! I’m most excited about the cranberry pistachio fudge. Of course, the Magic Mike DVD doesnt hurt either, lol…. SOunds like a great prize pack for Girls nIght In! The Pampered Chef Brownie pan is awesome!! Wow so many entries” I’m liking all the prizes but mmm lemon bars! The Sparkling Juices look really tasty. Would love to win the brownie pan from Pampered Chef! Everything looks Great!!! Channing Tatum in Magic Mike and goodies, what else could a girl ask for! Love it all but the pistachio fudge and the sparkling drinks look yuuuuummy!! The lemon bars. Love them!! Magic Mike, popcorn and lemon bars! I am most interested in the Case of Kristian Regale Sparkling Juices. Thank you!! Hmmmm…..it’s a toss up between the pamper chief brownie pan or magic Mike? I can’t decided i am glad both are included. Hard to pick, this is a great giveaway. I think I will have to go with the fudge. I would love the 6 lbs. of Yohay Baking’s Pistachio and Cranberry Fudge. Thanks so much! The movie and sparking juices! So many good things but the Magic Mike DVD looks great! Having a keurig coffee and eating the lemon bars while watching Magic Mike. Wow! what a great giveaway! Hard to pick a favorite! but if I had to pick one……6 pound of cranberry pistachio FUDGE! Sounds so good right now. “Magic Mike” on DVD! I love Channing’s Tatums! I am super excited to try Sweet Sally’s Lemon Bars, cause I love anything lemon! Wait, I would really love to have the Magic Mike DVD, so I could enjoy watching it with all my lady friends. Oh, but I have always wanted one of thise Pampered Chef Brownie Pans so there would be no fighting over the corners. That case of Kristian Regale Sparkling Juices would be super nice, especially since one of my lady friends drink. Yeah, thats what I want to try, I think. No, I want to try the Cranberry Pistachio Fudge from Tobago Baking Company! I love pistachios, I love cranberries and I love fudge, so these would have to be amazing. Chips are always good to have when your watching a movie, soooooo the Bare Fruit Apple Cinnamon Chips would be great. But, popcorn is the go to food for movie watching, yeah, I would pick the Tastefully Simple Popcorn Party. Wait, please don’t ask me to pick just one! They all go together so perfectly for a ladies night, I must have them all, please!! And thank you!! FUDGE!! Though all of it sounds great. I’m excited about all of them! I’m 7 months pregnant, so the 6 lbs of fudge and the sparkling juice sounds awesome! 6 pounds of fudge. 6 POUNDS OF FUDGE!!!!!! um,,,,, was there prizes other than the 6 POUNDS OF FUDGE!!!!!! I love popcorn so the Popcorn Party! These are all great prizes, but I can’t decide between the apple cinnamon chips…nummy !!!! or the pampered chef brownie pan. I love pampered chef products. I’m most excited about the Kristian Regale Sparkling Juices. oh man either the Magic Mike dvd or the cranberry pistachio fudge! “Magic Mike” on DVD! I like Channing’s Tatums! I would like the lemon bars! But I like all of the items here! I could get excited over Cranberry Pistachio Fudge! I would love to win the Pampered Chef Brownie Pan! 6 pound Slab of Cranberry Pistachio Fudge from Yohay Baking Company yummm! I would love to win the brownie pan! the apple cinnamon chips sound so yummy!!! sparkling juices make any get together a party. Brownies with lemon bars on top! The brownie pan would be awesome! Juice and lemon bars… yummmyyyy!!!! thanks! Hmmm, the fudge. No, the popcorn! Sweet Sally’s Lemon Bars sound delicious! I like the Pampered Chef Brownie Pan. Magic Mike dvd~ will end up in my collection 1 way or another 😉 would love to win it! I’m excited about all of it!!! Case of Kristian Regale Sparkling Juices would be fun because there would be plenty to share! 🙂 Thanks for a chance to win and have a great day! I would LOVE that brownie pan!! That’s the prize I’m most excited about! so hard to choose, but probably the sparkling juice. I really like Tastefully Simple and that would be a great snack for me..thatnks for the giveaway! Lemon Bars ! I think all of the prizes are awesome. Super excited about the Magic Mike dvd…. The Pampered Chef pan! I love these pans! Im in for the whole package. How do you pick just one?? Im thinking the Magic Mike dvd would be really cool..
I’m excited about the Cranberry Pistachio Fudge! I LOVE fudge and this sounds like a delicious flavor combination. the Pampered Chef Brownie Pan!!! Magic Mike. Channing Tatum is so hottest!!! The Kristian Regale Sparkling Juices!!!! I would be most excited about the tastefully simply popcorn party. 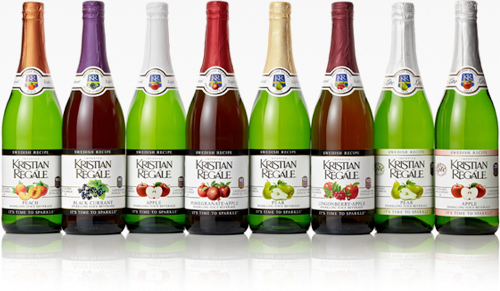 Kristian Regale Sparkling Juices would be the best gift. The brownie pan and the fudge! Most excited about the fudge. I would have to say the Cranberry Pistachio Fudge…It sounds amazing!!!! Tastefully simple popcorn…it is so good! brownie pan & the lemon bars—yum!! Popcorn party sounds really good!! I would just be happy to get anything !! I never seem to win these things, but if I did, this is the one to win! Thanks!! Well, the Magic Mike and cranberry fudge!! Whew! What a night that would be!! Thanks for the great giveaway!! the lemon bars sound yummy! 6 pound Slab of Cranberry Pistachio Fudge from Yohay Baking Company. YUMMMMM!! the popcorn and lemon bars! Every prize is awesome. Thanks. I’m really excited about the Bare Fruit Apple Cinnamon Crisps, those are so delicious! the sparkling juice and magic mike dvd! Case of Kristian Regale Sparkling Juices. magic mike. love that movie. Sweet Sally’s Lemon Bars I love lemon bars so much. Cranberry Pistachio FUDGE! OMG! I really NEED some of that! Magic Mike DVD but it’s all an awesome prize pack! I’m drooling over the 6 pound slab of Cranberry Pistachio fudge! For real? Yum. the magic mike DVD of course!!! i want to see that movie didnt know it was out on DVD yet!!! the sparkling juices and the brownie pan! The Case of Kristian Regale Sparkling Juices. My kids would be ecstatic if I won the case of Sparkling Juice, that is a definate treat at our house!!!! Im excited about The lemon bars. The Regale Sparkling Juices look really good. I am most excited about the case of Kristian Regale Sparkling Juices! The sparkling juices. They sound yummy and the kids could have some. The brownie pan! I love baking! magic mike and the sweets… i love seeing hot guys while i endulge in junk food lol!!! 6 lb slab of cranberry pistachio fudge………..YUMMY YUMMY!!!!! The Case of Kristian Regale Sparkling Juices has me most excited.. Mmmm sounds delicious! oh i love lemon bars, thats what im most excited about!!! I love everything Pampered Chef … so definitely I am most excited about the Pampered Chef Brownie Pan. Whew, it’s all so good…but I guess I would say the 6 pound Slab of Cranberry Pistachio Fudge from Yohay Baking Company!!! I’m most excited about the Yohay Baking’s Pistachio and Cranberry Fudge! Yummy! I’m most excited about the lemon bars. I am most excited about Sweet Sally’s Lemon Bars!! Brownie pan…I need a new one!! Sweet Sally’s Lemon bars. I can’t wait to try ’em & share with my gal pals. Magic Mike and the popcorn! The sparkling juices looks great! The brownie pan or lemon bars! Sure want to see Magic Mike! magic Mike DVD of course! The Sparkling Juices and the Fudge….and the Brownie Pan AND…lol….the Popcorn!!! ALL of it!!!! The brownie pan is exciting but the fudge sure sounds interesting too! 6 pound Slab of Cranberry Pistachio Fudge from Yohay Baking Company!!! the 6 pounds of fudge. That has to be huge. Pampered Chef Brownie pan!! It’s so cool! The cranberry pistachio fudge would be a yummy treat. Cranberry Pistachio Fudge looks great!! I love all the bare fruit products so I am super excited about that prize! The Sweet Sally Lemon bars sound amazing! The sparkling juice looks great !!! I think the Sweet Sally’s Lemon Bars sound delicious! The lemon bars. This is really an impossoble decision everything sounds wonderful! I’m most excited for the 6 pound Slab of Cranberry Pistachio Fudge from Yohay Baking Company! Box of 6 Sweet Sally’s Lemon Bars ~~ SOUND AMAZING!!! The apple chips and the brownie pan. Wow that fudge looks awesome! MOVIE AND T/S POPCORN YUMMY!! I am most excited about the Cranberry Pistachio Fudge from Yohay Baking Company, omg does it look good enough to eat through my computer, lol! Magic Mike is also getting me all hot and bothered hahaha! Good Luck Everyone! The pampered chef brownie pan!!! And what a fun way to make square muffins, too!! I love them all but love the Magic Mike and the brownie pan the best. Thanks so much for this contest. I would love to try the sparkling juices. The brownie pan and sparkling juices! I’m most excited about the Sparkling Juices! The Lemon Bars, but it all sounds yummy! ALL OF IT!!! DEF A GIRLS NIGHT OUT NIGHT!!!!! The Brownie Pan would be very helpful for the holiday season. This is one *sweet* giveaway!!!!! Most excited about the case of Kristian Regale Sparkling Juices. I always wanted a brownie pan. for sure, the LEMON BARS!!!! Majic Mike DVD, I haven’t seen it yet! Thanks for this giveaway! dvd and the fudge sound great! thanks for the giveaway! Case of Kristian Regale sparkling juices! I am excited about the lemon bars. They all sound good but the apple crisps sound wonderful tonight! the cranberry pistachio fudge sounds amazing!! id love to try it!! yummmmm!! Sweet Sally’s Lemon Bars – can’t get enough! All, it all looks good. Hello, I am most excited about winning the 6 pound Slab of Cranberry Pistachio Fudge from Yohay Baking Company. Thanks for a great giveaway! The 6 pound Slab of Cranberry Pistachio Fudge from Yohay Baking Company has my mouth watering!!! All of the prizes sound great but I am a sucker for fudge. its all awesome….but i want to see the movie!!! The lemon bars remind me of the ones my mom used to make and I haven’t had them in FOREVER! YUM! Definitely most excited about Magic Mike!! lemon bars and brownie pans! I’m excited for the fudge! Yum! The brownie pan looks great, but as the lemon bars require no prep that gets my vote for best prize! I can’t choose just one….am excited about everything!! A great giveaway!! Pampered chef brownie pan. I do alot of baking, and this would get sooo much use. Especially with the holidays coming up! Thank you for the opportunity! The fudge and brownie pan. Thanks for giving us the chance to win!!! Mmmm….Magic Mike and the sparkling juices! Thanks for the opportunity!! This is awesome and would be appreciated and shared! The pampered chef brownie pan. I think the fudge, as I love it so much. The case of sparkling juices! I think these drinks are amazing-THe Case of Kristian Regale Sparkling Juices is my favorite prize! I am so excited about Girls night out. The Pampered chef brownie pan and the lemon bars. The fudge looks fantastic, and I’d love the Pampered Chef brownie pan! I’d like the six pounds of fudge. Yum! The fudge and the DVD both look sweet! I would love a brownie pan! Too difficult to choose…either of these are my top choices: yummy fudge, luscious lemon bars and crunchy popcorn. The movie and the popcorn! Oh my the fudge of course!!! All the prizes sound nice, I don’t know if I could pick just one! Wow .. all such great prizes! The sparkling juices sound really good! I would love the 6 pound Slab of Cranberry Pistachio Fudge from Yohay Baking Company. I’m most interested in trying the apple cinnamon chips, they look like a tasty and yet still fairly healthy snack. I would really love to try the Pampered Chef Brownie Pan! I just started trying out recipes and cooking and am finding out that I really enjoy it! I would love to have the Pampered Chef Brownie Pan. Are you kidding me!?!? Definitely the Magic Mike DVD has me MOST excited!!!!!! Thank you!! I want to try the Lemon Bars! the brownie pan, then i can have my own girls night out with other SWEETS. Magic Mike but they all sound wonderful! The Magic Mike DVD and eat all the other stuff while watching it!! the sparkling juices- good for us mamas who are preggie or nursing with no bad effects! I think ZI” most excited about the “6 lbs. of Yohay Baking’s Pistachio and Cranberry Fudge” oh heavenly yum! Pampered Chef Brownie Pan! Thanks for the chance to win! I like the fudge and Sparkling Juices but all of these prizes sound delicious. I want the cranberry pistachio fudge! I am most excited about the pampered chef brownie pan!! Pistachio andCranberry Fudge from Yohay Baking. The DVD, the lemon bars, and the brownie pan. Case of Kristian Regale Sparkling Juices I am most excited to try the Juices and or the Brownie pan is really neat-o too!!! Magic Mike DVD for sure! Fudge and lemon bars! Do I have to share, lol. 6 pound Slab of Cranberry Pistachio Fudge, I’m drooling! The magic mike DVD us the most exciting…. Haha obvious reasons! But the fudfe sounds delicious!!! Would love to win!! Case of Kristian Regale Sparkling Juices!!! The Box of 6 Sweet Sally’s Lemon Bars. The Box of 6 Sweet Sally’s Lemon Bars sound really yummy! Definitly the pampered chef brownie pan. Too cool! I never got to see it in theaters so MAGIC MIKE!! The Bare Fruits Apple Cinnamon Chips…they look delicious! All of these prizes are great! I think the lemon bars sound fantastic. The Magic Mike DVD, I still haven’t got to see it!! the lemon bars then the fudge but you cant go wrong with the Magic Mike DVD either…they are all great prizes.